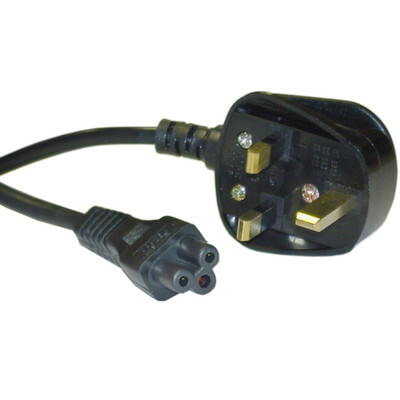 This power cord will power English notebook computers that require a polarized connection. Our cable features a BS 1363 connector on one end and a C5 connector n the other. This power cord is polarized. In addition, this power cord is VDE approved.